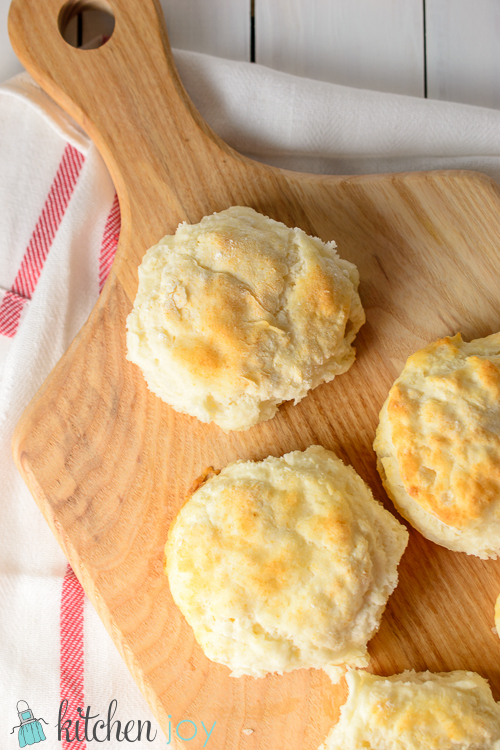 Buttermilk biscuits are so simple, yet somehow they seem a little bit intimidating. 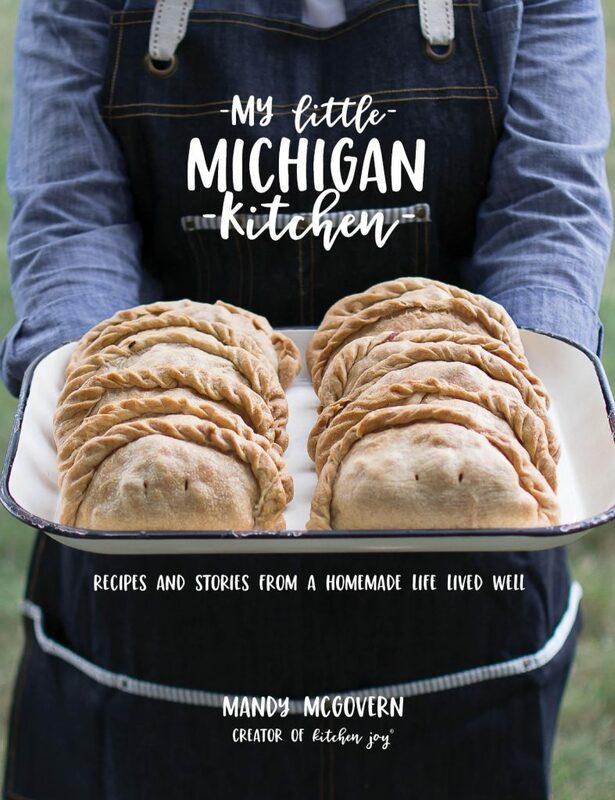 Making them from scratch takes about the same amount of time as using the canned variety, but they’re not even comparable in terms of flavor, texture, or even cost. This time of the year, I get the itch to start making more jam as soon as the local fruits are in season. We have pretty well depleted our stash in the freezer over the winter, and I cannot wait to make several new varieties this year. I think that homemade jam deserves a much better biscuit than the type in a refrigerated can or frozen package. Let’s also not forget about Biscuits and Gravy, which I love, and need to share a recipe for very soon. In my various test batches of biscuits, I went with a few different variations to see which my preference was. I tested all-butter, all-shortening, all-lard, and half butter/half lard. My hands down favorite was the all-lard. 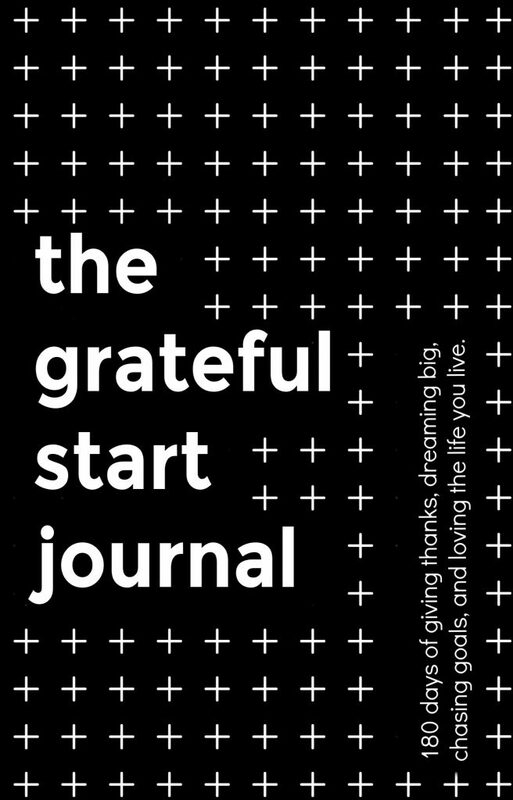 (Don’t freak out, you don’t use that much of it.) The texture of the all-lard version was much lighter, fluffier, more moist, and rose up higher than the others. I found the all-shortening version lacking in terms of flavor and height. The all-butter version was delicious as far as flavor goes, but were nowhere near as light and delicate as the all-lard version. The half butter/half lard version was decent as well, but not as good as the all-lard version either. Side note: Lard is available on the baking aisle in most major grocery stores. It is available in a 1 pound block, just like you would buy shortening or butter. I have also had success finding it on the imported foods aisle near the Mexican ingredients (lard also makes for a great homemade tortilla). 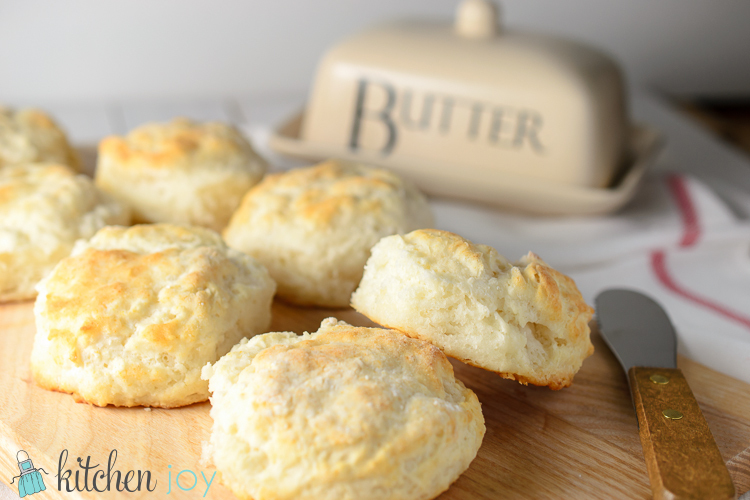 The best way to make Homemade Buttermilk Biscuits, in my experience, is that simple is better. Don’t get hung up on fancy appliances, ingredients, and tricks. 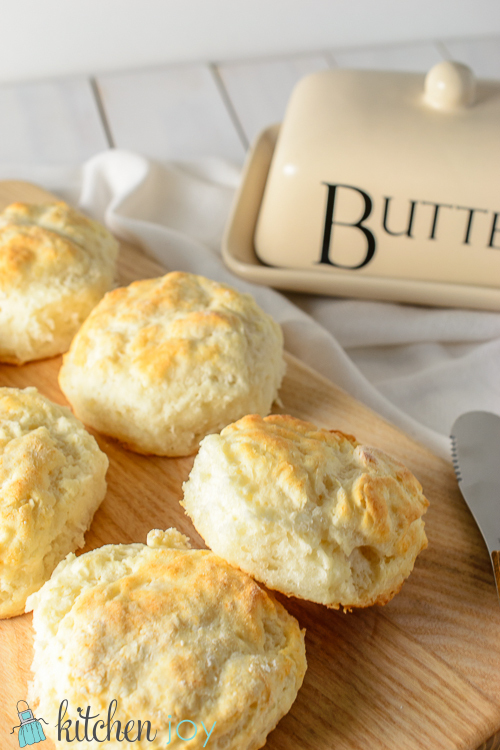 Buttermilk biscuits are the invention of grandmas who knew how to bake with their hands, and they were onto something. Leave the food processor alone this time. I do recommend picking up a pastry blender if you enjoy making biscuits and scones frequently. It’s basically just a handle with a few curved blades that help you to cut the butter into the flour mixture more easily and evenly than just by using forks or butter knives (although those work fine too). Also, don’t be tempted to make your own buttermilk by adding either vinegar or lemon juice to regular milk. Although this trick works in an emergency, I don’t recommend intentionally substituting for real buttermilk. It just doesn’t turn out quite the same. It’s hard to explain, it’s just not the same flavor and texture when you don’t use the real thing. 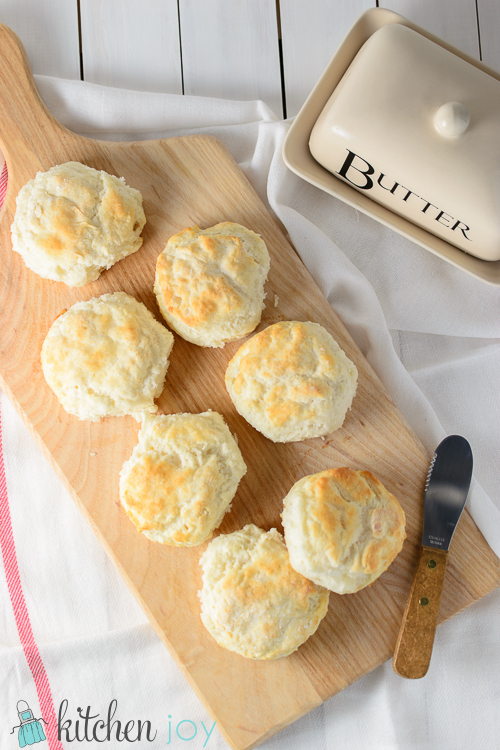 To get the best “lift” and height to your biscuits, bake them with the sides touching each other, and use very very cold lard. Grease a baking sheet with butter (or lard). Place flour in a large bowl and add cubed lard. Using a pastry blender or a fork, cut the lard into the flour until the texture resembles a coarse grain. Add buttermilk and gently fold in with a wooden spoon just until absorbed. Be careful not to overwork the dough. Turn dough out onto a lightly floured surface. With lightly floured hands, gently press the dough to 3/4-inch thickness. 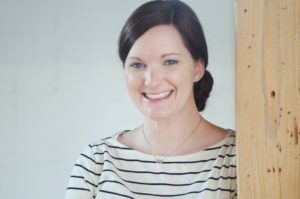 Using a floured biscuit cutter that is about 2 1/2 inches in diameter, cut rounds of dough and arrange them on the prepared baking sheet so that the edges are touching. Bake 11-13 minutes until lightly golden. These biscuits are the fluffiest when made with lard. 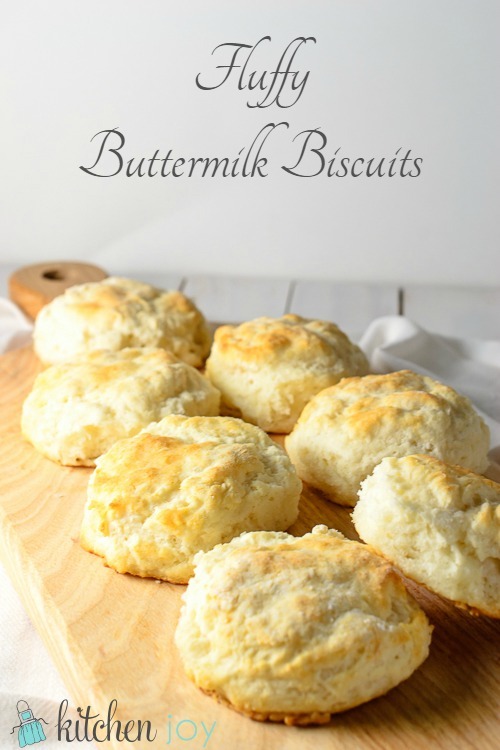 Substituting shortening or butter will also make a tasty biscuit, but the texture is not quite as good in my opinion.